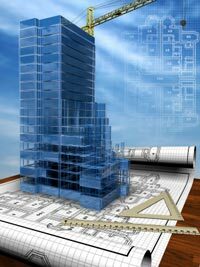 The construction law attorneys at Soles Law Offices provide legal services to a broad range of construction clients, including: owners, developers, contractors, project managers, subcontractors, architects, engineers, construction managers, lenders, and suppliers in both private and public projects. As active members of the National Association of Home Builders (NAHB), the Building Industry Association of Stark County (BIA), the National Association of The Remodeling Industry (NARI), and other trade associations, our attorneys are directly involved in the construction industry and are current on new laws affecting various trades. Our construction attorneys have even represented some of these trade associations in various legal matters affecting the construction industry. Our construction attorneys’ years of experience in construction related negotiation and litigation have provided an in-depth knowledge of the industry, both residential and commercial, which allows us to effectively represent our clients in a variety of legal matters. Our construction lawyers will ensure that your rights are protected with carefully drafted agreements as well as the timely filing of mechanic’s liens and bond claims. We are well versed in the requirements of various governmental set aside programs and are able to assist you in determining your ability to qualify and apply for these programs to give your company an edge in obtaining government contracts. Our construction lawyers have vigorously represented our clients in both arbitration and court proceedings in a wide range of construction related matters in both state and federal courts. We have successfully pursued and defended claims involving changed conditions and extra work, defective design, construction methods and building products, subcontractor disputes, warranty claims, delay and acceleration damages, filing and foreclosure of mechanic’s liens, bond claims, and insurance coverage and indemnification issues. Our construction attorneys look forward to assisting you with any legal need you may have. Contact a Canton, Stark County, Ohio construction law attorney today at Soles Law Offices.